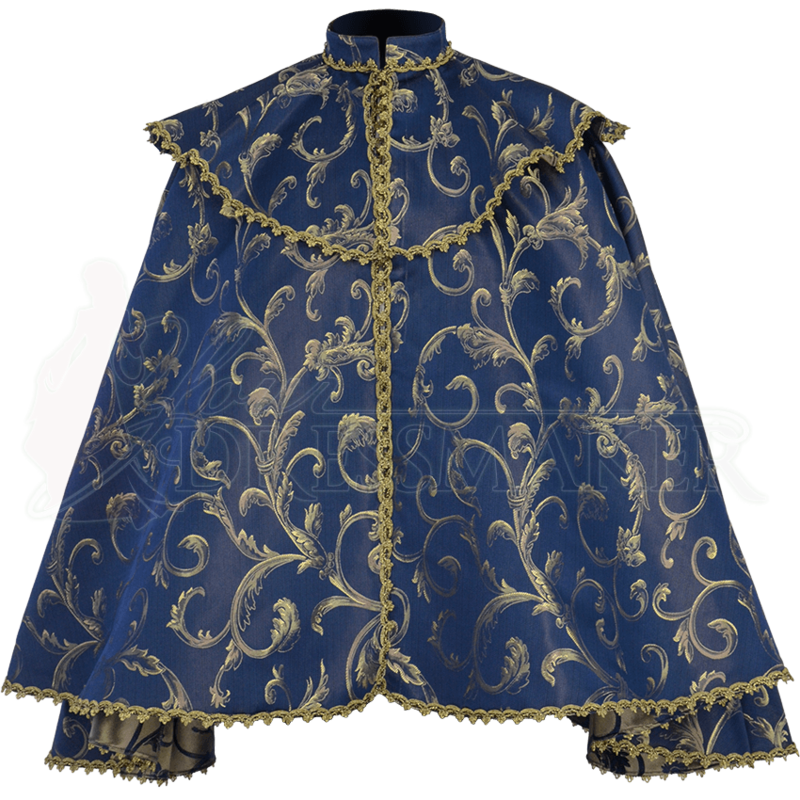 Made from high end brocade with ornate scrolling patterns, the Nobles Brocade Short Cape is a stately outerlayer for medieval and Renaissance outfits. This half cape has a short mantle over the shoulders and fastens with a hidden hook closure at its mandarin collar. The sides are slightly longer than the front and back, creating a unique, elegant drape. Gold trim accents the bottom edge of the collar, mantle, and cape, as well as the front opening. Choose from a variety of brocade colors as well as a range of sizes. Sure to catch the eyes of all who behold you, this elegant Renaissance cape is perfect for royals, nobles, and all who wish to add a layer of finery to their medieval, Renaissance, or fantasy garb.